Metropolis Window Cleaning - FAQ&apos;s - Metropolis Window Cleaning - Serving the greater Denver and Boulder area for all of your window cleaning needs. ​​What is included in my window cleaning service? Residential service includes cleaning the windows inside and out, all sills wiped clean and dried, all screens removed and wiped, and all window tracks wiped. Screens can be deep cleaned for an additional charge. Commercial window cleaning includes cleaning the windows inside and out, and all sills wiped clean and dried. Screens, if any, will be removed to clean the windows, and can be cleaned for an additional charge. Storefront service includes cleaning the windows inside and out, removing posters or other obstacles as necessary, and all sills wiped clean. Do you offer a rain guarantee for residential customers? ​Yes. It takes time and dirt to get a window dirty. One rainstorm typically won’t get your windows dirty, especially with our pure water cleaning technique. We offer a 72-hour rain guarantee for all of our residential customers who purchase a deep clean on their screens. If you purchase the screen deep cleaning and it rains and spots some windows within 72 hours, we will return and clean the affected exterior windows. Please note, you must call us within 72 hours of your window cleaning service. Note: This rain guarantee only applies to residential customers who purchase the deep cleaning of their screens. ​How much does it cost to clean my windows? ​Each home, office, and storefront presents unique challenges. Some will require ladders. Some will require rooftop work. There are simply too many variables to give an exact price over the phone or on the internet. 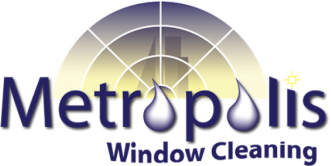 Metropolis Window Cleaning accommodates price inquiries by giving free, no obligation quotes in person. Our residential customers can also use our Estimate form on our Contact page for a quick estimate. Remember, an exact price can only be given in person. If you schedule service before we’ve given you a price, we’ll inspect your property and give you a price prior to starting work. ​Do you have a minimum charge for homes? ​Yes. Residential homes have a minimum charge of $125.00. What is included in this minimum price depends on the size of your home. We are always happy to provide you a free onsite estimate. ​Do you have a minimum charge for other buildings? ​Yes. Storefronts have a minimum charge of $20.00. Office buildings and other building types vary much in size, height, and type. We do not have a set minimum for these types of buildings. A free, no obligation quote can be given by one of our technicians on site. ​What is pure water cleaning? ​Pure water cleaning is the latest advance in window cleaning technology. We will bring a portable water filtration system to your site. This system is attached to your exterior water source. Your tap water is then run through our filtration system, which deionizes the water to remove the impurities that leave spots on glass. This water is sent to a water-fed pole, and exits the pole through a brush. Your windows are scrubbed with the brush and the natural cleaning power of purified water. The window is then rinsed with the purified water and it dries spot-free! No squeegee required. Please note that pure water cleaning will not be used on storefronts. ​How does pure water cleaning benefit me? ​First, no detergents or chemicals will be getting into your soil or on your building. Second, any type of soap – even professional window cleaning soap – will leave a film on your glass. This film is invisible immediately after cleaning. However, over time, it attracts dust and pollution from the air. These airborne particles adhere to the soap film and give the window a cloudy appearance. But, because we use pure water on your windows, with no detergents or chemicals, your windows will have no soap film and will therefore stay clean longer! ​Can pure water be used on all my windows? Pure water can be used on all your exterior surfaces. But, for the pure water method to work, the water has to be flowing. Therefore, pure water cleaning is not used on the interior of your building or home. The exception to this is cleaning the windows inside of a pool area. For your interior, we use a proprietary blend of professional, non-toxic, biodegradable soaps. The principal ingredient in this blend is a professional window cleaning soap called Glass Gleam 4. This blend is designed to leave minimal film behind, thus leaving you with a clear view for months to come.